Go big or go home. That must be Toshiba's new mantra where tablets are concerned, as it just announced a trio of Ice Cream Sandwich-packin', Tegra 3-powered additions to its Excite tablet line: a 7.7-inch, 10.1-inch, and 13.3-inch model. The 7.7-inch model, appropriately named the Excite 7.7, sports a 1280x800 AMOLED display, the quad-core Tegra 3 processor, 1GB of RAM, and Ice Cream Sandwich. At just 0.3-inches thick and 13.4 ounces, the Excite 7.7 is a powerhouse in a tiny package. Stepping it up a notch (in terms of size, anyway), comes Toshiba's 10.1-inch offering, the Excite 10. This one is the more "traditional" tablet (if there is such a thing), sporting a 1280x800 display resolution, 10-finger multi-touch support, the Tegra 3 processor, 1GB of RAM, and ICS. It weighs in at a modest 1.32 pounds and runs a mere 0.35-inches thick. According to Toshiba, you can expect to get a solid 10 hours of battery life from the Excite 10.1, as well as seven full days of standby time. Also making an appearance on the Excite 10.1 is a full-size SD Card slot, along with microHDMI and microUSB. And then we have the beast of the group: the 13.3-inch Excite 13. This is basically the same tablet that we saw back at Toshiba World in March, save for one detail: the TV antennae. While you won't be pulling any TV broadcasts to this not-so-handheld, its 1600x900 display and four-speaker sound system will definitely make this the tablet to have for all those who can't live without other forms of cinematic adventures on the go. Like its smaller siblings, the Excite 13.3 features ICS, the Tegra 3 processor, 1GB of RAM, and Ice Cream Sandwich. It's said to have a whopping 13-hour battery life and its 0.4-inch thick frame weights in at 2.2 pounds. As far as pricing and availability is concerned, the Excite 10 will be the first to hit US soil "at the beginning of May," and will run $450 for the 16GB model, $530 for the 32GB, and $650 for 64GB of storage. The 7.7 and 13 are both slated for a June release, with the 16GB 7.7 for $500 and 32GB model for $580. If the 13 is where it's at for you, though, it'll set you back $650 for the 32GB version and $750 for the 64GB model. Ouch. IRVINE, Calif.--(BUSINESS WIRE)--Toshiba’s Digital Products Division (DPD), a division of Toshiba America Information Systems, Inc., today announced the expansion of its Excite™ family of Android™-powered tablets with three new display sizes – 13.3-inch, 10.1-inch and 7.7-inch. The new Excite tablets boast thin-and-light designs, brilliant displays, quad-core performance as well as a full range of essential ports and smart features. The three new tablets – Excite 10, Excite 13 and Excite 7.7 – feature elegant and sturdy aluminum shells and scratch-resistant Corning®Gorilla® Glass displays, making them not only stylish, but also durable. Powered by Android 4.0, Ice Cream Sandwich, which builds on the things people love most about Android – the tablets offer a simplified UI, easy multitasking, customizable home screens, resizable widgets and a full suite of familiar Google™ mobile services applications – as well as powerful new ways of communicating and sharing. From scrolling and swiping the web, to the fast action of the latest games, the Excite tablets’ all-new NVIDIA® Tegra™ 3 processors1 deliver amazing multitasking, web, gaming and video. This innovative mobile processor features the world’s only 4-PLUS-1™ mobile quad-core CPU, providing users outstanding performance for even the most demanding applications. Apps run faster, games are played at console-quality, HD video is smoother, plus it features a unique 5th battery-saver core to handle everyday apps – extending battery life2. 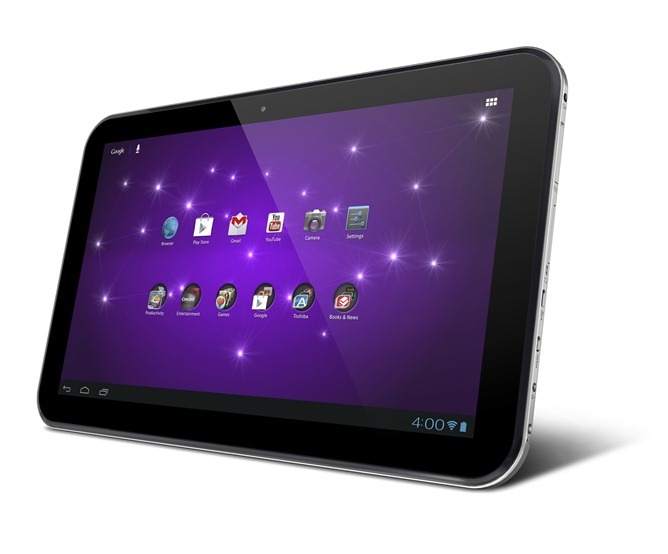 An all-around tablet designed for home and away, the Excite 10 tablet delivers an exceptional visual experience, featuring a bright, high definition 10.1-inch diagonal AutoBrite™ LED Backlit display with 1280x800 resolution and 10-finger multi-touch support, making it an ideal choice for web browsing, reading, games and apps. 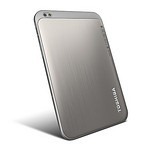 Measuring just 0.35 inches thin and weighing just 1.32 pounds3, the Excite 10 tablet is extremely portable and delivers up to 10 hours of battery life4 and seven days of stand-by. Delivering more performance than previous generation tablets, the Excite 10 tablet is powered by a quad-core NVIDIA® Tegra™ 3 processor with GeForce graphics5 and 1GB of RAM6, opening up new possibilities for everyday multi-purpose use and next generation mobile games. Built to do more than the average tablet, users can enjoy easy syncing and sharing between all of their favorite devices, with a selection of built-in ports, including Micro USB, Micro HDMI® and a full-size SD card slot. Delivering more screen real estate than any other tablet on the market, the Excite 13 tablet offers a big, bright, higher resolution display, while delivering more room for everything else – from sharing photos and web browsing to playing games and watching movies with a group. Ideally suited for the home, from growing families to empty nesters, the Excite 13 tablet is only 0.4 inches thin and weighs 2.2 pounds7, so it is still easy to carry. Not only great for movies, the Excite 13 tablet can power through the latest games and multitask with ease. Powered by the quad-core NVIDIA Tegra™ 3 mobile processor with GeForce graphics and 1GB of memory, the large display tablet offers smooth, console-quality gaming plus the performance for high definition entertainment. Extremely power efficient, the Excite 13 tablet is targeted to deliver up to 13 hours of battery life8 and seven days of stand-by. 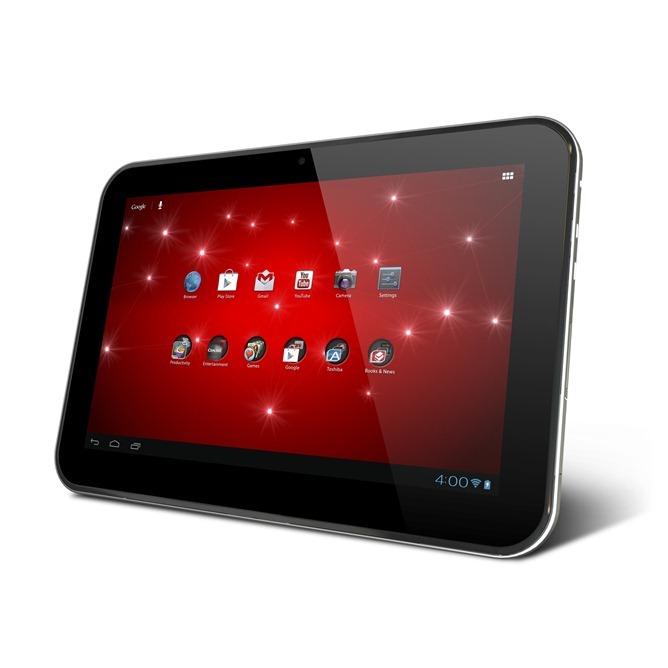 The Excite 13 tablet includes Micro USB, Micro HDMI® ports and a full-size SD card slot for syncing and sharing content. 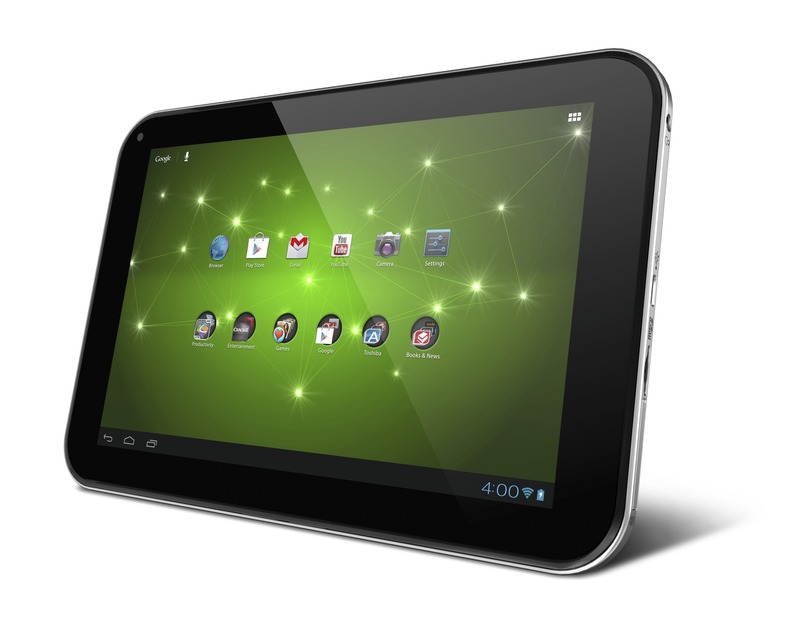 The Excite 10 tablet will be available for purchase at the beginning of May 2012 for $449.99 MSRP9 for the 16GB model, $529.99 MSRP for the 32GB model and $649.99 MSRP for the 64GB model. The Excite 7.7 tablet will be available for purchase at the beginning of June 2012 for $499.99 MSRP for the 16GB model and $579.99 MSRP for the 32GB model. The Excite 13 tablet will be available for purchase at the beginning of June 2012 for $649.99 MSRP for the 32GB model and $749.99 MSRP for the 64GB model.